Prior to tennis I completed my BSc (hons) in Sport and Exercise Science from Aberystwyth University, where I was captain of the mens first team for 2 years and chairman of the club in my 3rd year. I also still love competing in the NPL doubles league over winter and aegon in the spring/summer, and was also part of the Bucks men county team last year for the winter county cup. 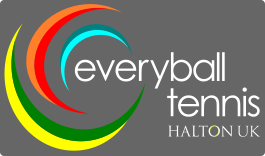 I'm really excited about getting involved in all aspects of Halton club life - see you on court!